In one of his rare performances without Bud Abbott, Lou Costello plays a rubbish collector and inventor. When radiation in a nearby cave turns his girlfriend into a giantess, antics ensure as he tries to shrink her using one of his inventions. 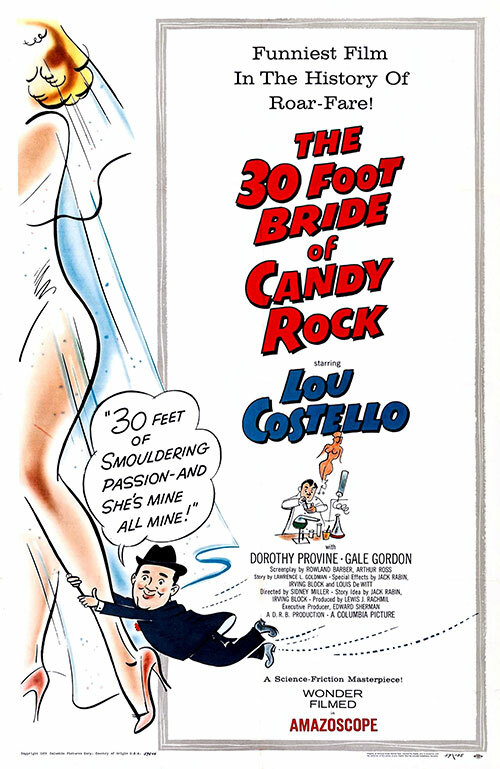 0 Response to "The 30 Foot Bride of Candy Rock (1959) Sidney Miller"